No other family of Australasian birds has radiated into so many niches in so few species as the magpie-shrikes. The family's butcherbirds are tree-living, shrike-like predators; its magpies are ground-foraging invertebrate feeders; its currawongs are scavenging generalists; and its peltopses are flycatcher-like, sallying insectivores. 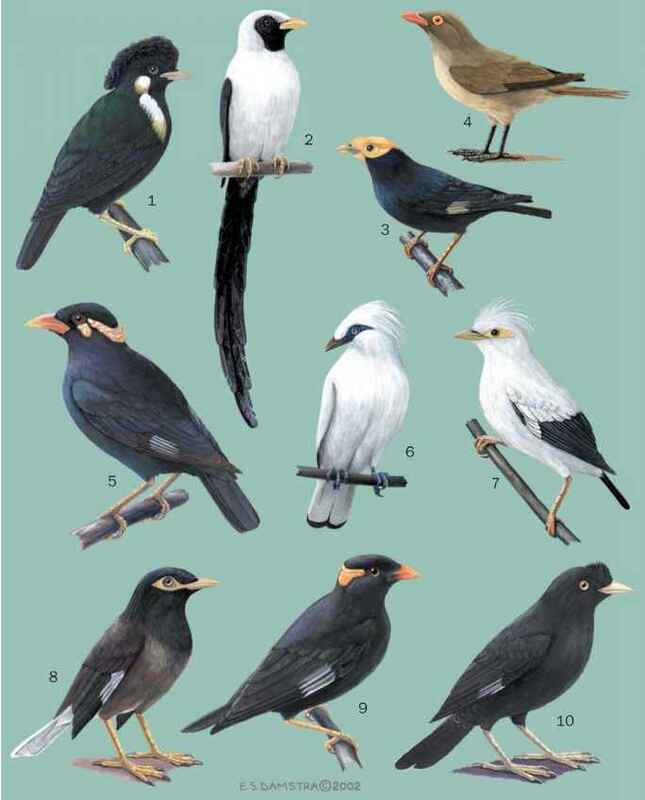 Despite such diversity, the group remains similar in skeletal structure, which is characterized by stout, straight, heavily ossified predatorial bills and elongated palates. Due to fusion in the nasal aperture, a massive shelf is formed in the roof of the mouth, an unusual trait in songbirds. The family is a branch of a massive radiation in crow-like birds that arose in Australia in the early to mid-Teriary, 30-40 million years ago. Unlike many others, however, it remained centered on the Australian plate. Only one member occurs outside Australia-New Guinea today, the bristlehead (Pityriasis) in Borneo. Gradual drying in the Australian climate over the last 20 million years drove the diversification of the magpie-shrikes. Scavenging currawongs and ground-feeding magpies, derived from tree-living ancestors that resembled butcherbirds, are centered today in the drier eucalypt woodlands there. Even modern butcherbirds are more diverse in that habitat than in the remnants of ancestral subtropical rainforest along the east Australian coast and mountain regions of New Guinea.